Biscuits and Bar-B-Q Out. Big Banks In? The former Sonny’s Real Pit Bar-B-Q on Cheshire Bridge Road near Lindbergh Drive was demolished this week to make way for Chase Bank. Sonny’s closed in 2009 shortly after its parent, Greater Atlanta Bar-B- LLC, filed for bankruptcy. Washington Mutual, now Chase, was already in the shopping center, in a small space on the Lindbergh side of the center. It will now have a larger free-standing branch. With the demolition wrapping up this week, construction could begin within the next week or so. One, this is now the second restaurant (albeit this time closed) that Chase has knocked down for a branch. Last May, Chase bought out of the lease of the East Cobb location of The Flying Biscuit and demolished the building, constructing a free-standing branch in its place. These two restaurants are meaningful to me as saw each of them built. Having now just graduated from college, it’s amazing and kind of sad to think I’ve now managed to see buildings constructed, and also demolished. The Flying Biscuit on Johnson Ferry was originally built as a Donato’s Pizza in the late 1990s, and was closed in 2002 when Donato’s left the Atlanta market. I think that it remained vacant for a short time until Raving Brands turned it into their now infamous failure, Mama Fu’s Asian House. The Asian concept was launched on Peachtree Road and grew to over a dozen locations before Raving Brands was hit with multiple lawsuits alleging, among other things, racketeering and fraud. Once said to exceed the growth rate of sister concept of Moe’s Southwest Grill (now owned by Atlanta-based Focus Brands), Mama Fu’s locations started dropping like flies. The chain was sold in 2008 and closed its first and last remaining Atlanta area location last year. The Flying Biscuit was an Atlanta institution and loved by many but has become far too “cookie cutter” of late. The concept was purchased by Raving Brands in 2006 and started franchising in 2007. I believe the that conversion from Mama Fu’s to Flying Biscuit in East Cobb took place in late 2007. Over at Lindbergh and Cheshire Bridge, a similar scenario played out. McDonald’s, in their constant chase of consumers’ changing behaviors and driving patterns, closed its location at 1824 Cheshire Bridge Road (now home to ROXX Tavern & Diner) and opened a new location within the newly constructed shopping center. In the early days, Ray Croc scouted new locations by hovering over neighborhoods in a the company plane looking for church steeples. He said these were “good American families” and that’s who he wanted as customers. Of course, today more advanced technology is used to monitor traffic counts and such, and it’s a change in traffic flow that led to the move. The shopping center was constructed in the mid 90s if I recall. I remember accompanying my father on trips to Hastings Nature & Garden Center on that property. Today Hastings is located on Peachtree Road in Brookhaven. 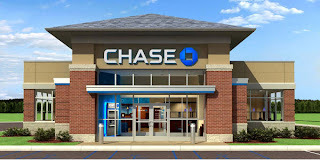 Chase has stated they plan to significantly grow their Atlanta footprint and expect to have 74 branches open in metro Atlanta by the end of 2011. Chase inherited 55 branches when it purchased the banking operations of Washington Mutual in 2008. Another new location is progressing in a portion of the shuttered Linens ‘n Things at the Peach Shopping Center on Peachtree Road in Buckhead. Plans call for as many as 10 new locations each year for the next several years. 6:01 p.m. Wednesday, January 26, 2011Local leaders from across the Atlanta region have asked the Legislature to form a regional mass transit agency to serve as an umbrella over the metro area’s various systems. The legislators who hold the cards have said they don’t plan to do that this year. But the move at the Atlanta Regional Commission, pushed by Atlanta Mayor Kasim Reed, marks an important symbolic step in a region that historically has been known for its patchwork of transportation systems and its dissent on the issue of MARTA. The ARC will deliver the suggested legislation to a committee chaired by Rep. Donna Sheldon, R-Dacula, that a new law set up last year to decide what to do about regional mass transit. Mass transit advocates had hoped the committee would take significant, fast action, setting up a regional system in 2011. If that were done, when voters are asked in 2012 to fund new projects in a transportation tax referendum the regional transit system already could be an established, well-known candidate for funds. “It needs to get done as soon as possible” in order for referendum voters in Fulton and DeKalb counties to be convinced by 2012 that the region is serious about making a more seamless transit system, said Chick Krautler, director of the ARC. However, Sheldon said last month that 2011 is not the year. “This is a major investment in the community and so we need to take our time and be careful,” she said. On the Senate side, Tommie Williams, R-Lyons, said this week that there is no groundswell for major transit legislation this year. In the proposed legislation, MARTA and other local systems like Cobb Community Transit could continue to exist under a new metropolitan transit authority. But when new money comes to transit, including revenues from the referendum if it is successful, the new authority would plan and spend those. Individual counties would have representatives on the authority. But it would no longer take a county referendum, for example, to expand MARTA rail into Gwinnett County. The proposed system is based on the model of Chicago’s transit system, according to ARC. That system is not perfect, said Steve Schlickman, who formerly headed Chicago’s system and testified before Sheldon’s committee last year. When the legacy systems continue to exist under the umbrella, some of the parochial rivalries may remain. He said the ideal is one unified system, if that is politically possible. The federal Environment Protection Agency’s mandate for DeKalb County to improve its sewer system is a “slap on the wrist” with little oversight and weak penalties, DeKalb residents said. On Wednesday, six DeKalb environmental groups asked the EPA to issue stricter penalties for DeKalb’s continued sewage spills, hoping added pressure from the EPA would guarantee speedier clean up of affected rivers and streams. In December, the EPA issued a consent decree, mandating DeKalb upgrade its sewer system after reporting more than 800 raw sewage spills in five years. The decree, which DeKalb spent 14 months negotiating with the federal government, also includes a $453,000 fine for the spills and an additional $600,000 to clean up the South River, Snapfinger Creek and the South Fork on Peachtree Creek near Emory University. Since then, the county commission has authorized $1.35 billion in upgrades to its sewer system, which will be paid for by increases in residents’ water and sewer bills. However, the county has not announced any timeline or clean-up plans for the spills, which continue to occur daily, residents said. Turman’s coalition, along with the DeKalb Soil and Water Conservation District, the Miners Creek Circle Civic Association, the Metropolitan Atlanta Urban Watershed Institute, the Newly Organized Citizens Requesting Aquifer Protection and the South River Watershed Alliance, submitted a 12-page letter Wednesday to the federal government demanding stricter oversight. Wednesday was the deadline for the public comment period. A spokeswoman for the EPA said her agency and the U.S. Department of Justice will evaluate all of the comments and then make a decision as to whether to issue tougher penalties. Federal law allows the EPA to charge the county up to $37,500 a day for spills, but the decree only says fines of up to $500 can be charged per spill. “It doesn’t seem like they would have much incentive if they are not complying,” GreenLaw attorney David Deganian told The Atlanta Journal-Constitution. Greenlaw, an Atlanta-based environmental legal group, drafted the residents’ letter. Residents said they worry DeKalb could end up like Atlanta, which signed a consent decree in 1998 committing to $4 billion in water upgrades, but has been given several extensions. DeKalb officials said they have been trying to avoid the high costs and legal battles that plagued Atlanta by moving forward with the work. Atlanta’s game-changing transit loop won’t succeed without big, bold ideas. Here are five. Atlantans can be forgiven for having become a bit jaded about the shortage of visible progress in the eight years since the Beltline first burst on the scene. Sure, railroad segments have been acquired and leased, public art’s been displayed and a smattering of parks have sprung to life. And yes, 2011 will be a big year for the 22-mile loop of parks, trails and transit proposed to circle Atlanta’s urban core and improve city life for generations to come. This spring, three new parks will open, including the first 12 acres of Historic Fourth Ward Park, which will feature a scenic lake, amphitheatre and the city’s first public skate park, near Freedom Parkway. Later this year, a highly anticipated 2.5-mile bike trail connecting Piedmont Park and DeKalb Avenue will welcome its first cyclists. Yet despite these advancements and other small victories, people still wearily — and understandably — ask if the Beltline “actually will happen.” As a reaction to that cynicism, Mayor Kasim Reed has said he wants the $2.8 billion project to be completed much sooner than the current 25-year time line anticipates. How can that be done? Never mind the occasional ribbon-cuttings or other public unveilings — the best way to shake skeptics’ doubts that the project is nothing more than pretty sketches and pipe dreams is for big, bold steps to be taken. Here are five initiatives — the most pressing per quadrant, as well as a broader proposal that Beltline officials have been quick to reject — that should be given serious consideration for their ability to could reignite the Beltline’s momentum and make the project more relevant to the public. ATLANTA — Metro Atlanta commuters could get some relief as the Georgia Department of Transportation is in the early planning stages of building a new interchange connecting Georgia 400 southbound to Interstate 85 northbound and I-85 southbound to Georgia 400 northbound. Georgia 400 from I-85 north to I-285 was completed in the early 1990s at a cost of $180 million, not adjusted for inflation. Goldberg said there wasn’t enough money budgeted to connect Ga. 400 to I-85, except the southbound lanes. Since then, commuters have had to negotiate Sidney Marcus Boulevard, the Buford-Spring Connector, Lenox Road and Cheshire Bridge Road if they wanted to go between the two major thoroughfares. Now, Goldberg said, the state sold $40 million in bonds to pay for the new interchange project. She told Elliot the bonds will be repaid in seven years using money collected from the Ga. 400 toll. On Friday, the Georgia DOT issued Requests For Qualifications. That’s the process where interested construction companies submit their qualifications to build the project. After the DOT selects qualified companies, the DOT will ask those companies for bids on the project. Many Buckhead neighborhoods have supported the plan for years and pushed the DOT to begin construction. One northeast Atlanta neighborhood, however, did not. Residents of the Lindridge-Martins Manor neighborhood opposed the plan because it directly affects their area. One of the proposed ramps would go along Peachtree Creek, and their properties. Schoeck and other residents said they changed their opinion of the project when the DOT agreed to build a landscaped walking trail along Peachtree Creek once the project is completed. The DOT worked with the neighborhood association and the Southfork Conservancy on the project and plan to hook it into a series of trails that winds through that area. “When we looked at the manner in which they were going to do this with a trail and landscaping and the fencing, if they do what they say they’re going to do, it looks like it’s going to have a positive impact on the neighborhood,” said Schoeck. Commuters seemed to like the idea since many do not appreciate navigating their way from I-85 to Ga. 400 on a daily basis. The winning construction company will also design the interchange. The DOT hopes to have the project completed in 2013. An on-ramp from Interstate 85 South onto Ga. 400 North took one small step closer to becoming reality. The Georgia Department of Transportation put out a request-for proposal on Jan. 14 for design-build services for the proposed project. Applicants have until 2 p.m. on Feb. 11 to make their proposals. The existing interchange, which opened in the early 1990s, doesn’t give southbound motorists heading into Atlanta on either highway a direct connection to the northbound lanes of the other road. The project to connect the two has been talked about for years. And business leaders in Buckhead have long complained that failing to complete that portion of the interchange hampers access to offices and retail centers in Buckhead. The State Transportation Board and the State Road and Tollway Authority voted last September to continue charging tolls on Ga. 400 to pay for the interchange improvements. 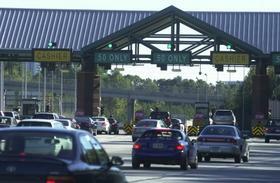 The tolls had been due to expire this summer when the original bonds from the early 1990s will be paid off. Transportation was, in fact, so important to Walt Disney himself that it has come up in recent criticisms of Disney’s newish California Adventure park, built in 2001. “Disney obsessives complain the park is “missing a soul … missing that signature Disney theme park transportation.” Indeed the park, which Disney’s own Robert Iger has called “mediocre,” is undergoing a billion-dollar renovation, featuring, among other things, the installation of a “Red Car” trolley—an effort to inject a bit of street life into a “California Adventure” that seemed, well, a little too contemporary Orange County. But there is something else to note here. The monorail—which must have looked to Disney and the world like the transportation of the future in the 1950s—is now, to many, considered a historical footnote, a relic of World Expos or, at best, an automated ride between airport terminals. 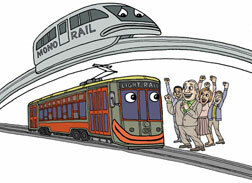 America’s highest-profile monorail project, the expansion of Seattle’s line, was plagued by cost overruns and funding gaps, and was finally dissolved in 2005 (costing taxpayers $125 million). The Las Vegas monorail has filed for bankruptcy. At the same time, those retro streetcars, which Disney himself rode in Kansas City in the early 20th century and which must have seemed to him part of a vanishing past, are returning (or may soon return) to any number of American cities, including Washington, D.C.; Cincinnati’ Tucson; Atlanta; Dallas; St. Louis; and Salt Lake City.